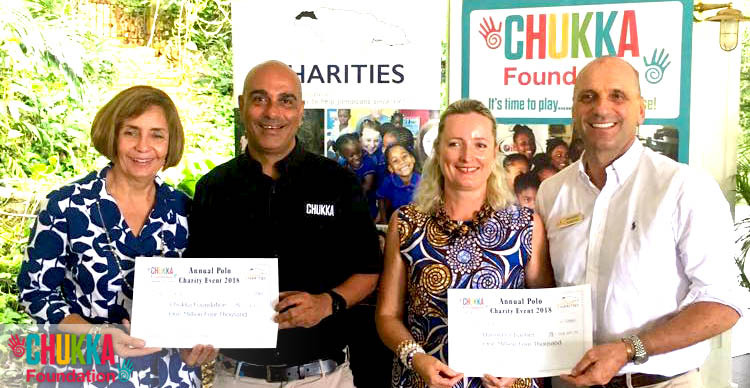 The Chukka Foundation and Hanover Charities recently announced the proceeds they raised at the Press Handover Event at the prestigious Round Hill Hotel & Villas with sponsors who assisted with the Polo Charity Event. The Polo Charity Event hosted in February at Chukka Sandy Bay in Hanover was a fun, family oriented fundraiser from which 100% of the proceeds will be allocated to education and communities of the Chukka Foundation and Hanover Charities. With the generous support of The Jamaica Tourist Board, sponsors and donors, the Chukka Foundation and Hanover Charities will be able to address some of the communities’ most pressing needs through improving schools and opportunities for students. The Polo Charity Match date has been set for next year – February 19th, 2019! Save the Date!